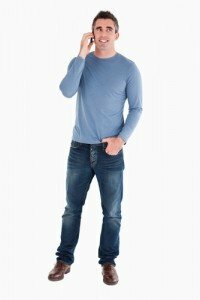 Is a Pay-as-You-Go or an Unlimited Conference Calling Plan Right for You? 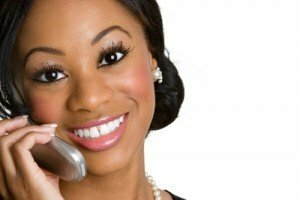 Is a Pay-as-You-Go or an Unlimited Conference Call Plan Right for You? Thinking of signing up for a pay-as-you-go or an unlimited conference call plan but not sure which one makes the most sense for you? Here’s what you need to know before you make your choice. With a pay-as-you go plan, you do just that. You pay for each conference call as you go. Though both pre- and post-paid plans are common, you typically pay only for the minutes you use. These plans are extremely flexible. They are ideal for companies with erratic usage patterns. If you don’t expect to make any conference calls some months, a pay-as-you-go plan with no minimum usage requirements is a terrific choice because you won’t have to pay for a service that you aren’t using. Meanwhile, on the months when you need to make conference calls, you can do so at a fantastic rate. In fact, you can make unlimited conference calls with a pay-as-you-go plan; however, you will be responsible for paying for all of the minutes you use. If you frequently have high volume months, an unlimited plan may be a better option. An unlimited conference call plan allows you to make an unlimited number of conference calls for a flat fee. Though “unlimited,” most unlimited conference call plans do have limits. For example, your plan may limit the number of participants you can invite to each conference call. Your flat monthly fee will reflect these limits. The more attendees the plan allows, the higher the monthly fee will be. How often do the partners need to use a conference call each month? Will usage be consistent or will there be some months where no activity is expected? How many minutes in total will be used in a typical month? What are the per minute rates for a pay-as-you-go plan? How much will a typical month cost? What is the cost for a suitable unlimited conference call plan? Is it less than the pay-as-you-go plan? Is the cost of an unlimited conference call plan low enough to justify keeping the plan during slower months? Are the per minute rates of a pay-as-you-go plan low enough to justify a few higher volume months? The right type of conference calling plan will depend on your usage and the answers to these questions. If you choose a no-contract plan, you can change plans as your usage patterns change. Author 1118-signalPosted on July 13, 2013 Categories conference call, conference calling, flat rate conference, unlimited conference callTags conference calls, fixed rate conference, flat rate conference call, global conference callLeave a comment on Is a Pay-as-You-Go or an Unlimited Conference Calling Plan Right for You? Now it’s a reality to host unlimited conference calls during the month and only pay one flat fee. This is a service that you can use conference call after conference call and not need to worry about the passcodes changing or the access number changing or re-establishing your account every two months. Everything stays the same from call to call unless you ‘request’ a change. Thanks to high quality lines and state-of-the-art conference call bridging technology, you won’t have sound quality issues nor cutoffs or busy signals that have been reported by new customers coming to AIT from so called free conferencing services. Does free include the brain damage for the host? Teleconferencing is one such part of the telecommunication services industry that has taken business collaboration strategies to new heights. Businesses require a conference call plan they can effectively manage. This particular plan provides a free online conference call viewer which enables the host to view an itemized list of the participant’s phone lines connected to the current conference call in real-time. The host has the option of muting all participants or selectively muting as needed. In addition, the host can actually ‘delete’ a participant if necessary. This plan once activated, can be passed around the office so that any number of users can use the unlimited account. Host as many conference calls monthly as you need. It’s all apart of your ‘unlimited’ flat rate Conference Call account. Reservationless – No booking or scheduling of conference calls necessary. Use your account whenever you wish, 24/7. This plan can be used for international conference calls. The only caveat is that all participants located abroad would need to dial-in to a standard U.S. access number. Consequently they would need to pay their own long distance company to call the USA. Many customers that use the ‘unlimited’ plan with international attendees have their guests dial-in with Skype or some other VoIP service local to them. For true Toll Free international conference calls – view this plan. These are some of the advantages of unlimited conference call services. Unlimited Conference Call service enables a subscriber to host an unlimited number of conference calls and only pay one flat fee for the entire month of usage. Telecommunication services have deeply penetrated the communication system of organization and businesses around the world. With latest technological tools and advancements the telecommunication services have become so advanced that if they are utilized well they can help businesses to grow and flourish in their respective fields. No wonder services like teleconferencing are nowadays so widely used by people and businesses. 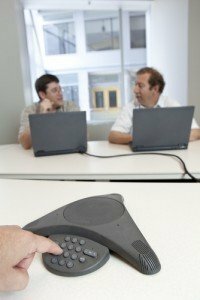 The reason behind people and businesses opting for teleconferencing services like unlimited conference call, virtual numbers, international toll free numbers or call forwarding is the uniqueness of these services. Not only are they a cost effective way of connecting with people but provide a leading edge to businesses so they can survive the steep competition they may have in their industry. If there is frequent usage of conference calling, then unlimited flat rate conference call plans are the solution. Today teleconferencing services have become so advanced that people cannot even imagine how useful they can be. It would not be wrong to say that in the near future the requirement of teleconferencing would reach new heights as more and more businesses are finding ways to expand their territorial reach. Thanks to the technological advancements that have made it possible for businesses and people to communicate across borders with services such as the international conference call plan offering toll free access from 60 countries. With technological advancements made in the field of telecommunication services people have witnessed a major revolution in the way communication with a group is done. That is why people more frequently need strategies through which they can stay connected with their associates, prospective customers, branch offices, etc. Not only the people but businesses around the world are feeling the heat to opt for methods that can help them in expanding their business operations and even go beyond national boundaries. Today there are so many service providers who are catering to the teleconferencing requirement of businesses and people and providing them with various features like flat rate conference plans to connect at affordable prices. Low cost plans are one such element for which technological innovations are applauded worldwide. Gone are the days when making a conference call was a costly affair. Unlimited conference call services have allowed people and businesses to host an unlimited quanity of monthly conference calls and pay one small flat rate for the entire month. Teleconferencing helps businesses and individuals cater to their day-to-day operations smoothly.